Weekend Historical Happenings: 12/21/13 - 12/22/13 ~ The History Girl! Car passes and tour tickets must be purchased at the Laboratory Complex Visitor Center at 211 Main Street, West Orange, NJ. Admission is $7.00, and includes the Glenmont Estate and the Laboratory Complex. Children under age 16 are free. For more information, call 973-736-0550 x11 or visit www.nps.gov/edis. It's a wonderful reason to take time, relax, and enjoy the season. So, set aside the shopping, cooking, and holiday shows to get outside and see Waterloo in during the holidays! Winter birds will be singing, the church Bell Choir will be ringing, make memories at Waterloo that are sure to last, while exploring traditions of our past...This is an indoor/outdoor guided tour program at historic Waterloo Village. Program length is approximately 60 minutes. Two programs will be conducted; 1:30 and 2:30 pm. Weather appropriate clothing and footwear is necessary. Pre-registration is required. Admission: adults $5; children 12 and under $3. For more information and to register, call 973-786-6445. Program fee supports the historic preservation of Waterloo Village. Waterloo Village is located at 525 Waterloo Road, Byram, NJ. On Saturday, the Historical Society of Princeton's Updike Farmstead will be open to the public from 12:00 noon - 4:00 pm. Visitors are invited to explore the six-acre grounds and browse museum galleries in the renovated late 18th/early 19th-century farmhouse. To honor the first day of winter, a variety of special activities are planned, included with museum admission ($4.00). At 12:11 p.m., the exact time of the Winter Solstice, there will be a story time for children, featuring Denise Fleming's The First Day of Winter. Families can participate throughout the day in a "Signs of Winter" scavenger hunt. At the top of each hour, there will be a slide show of snow scenes from the historical society's archives. 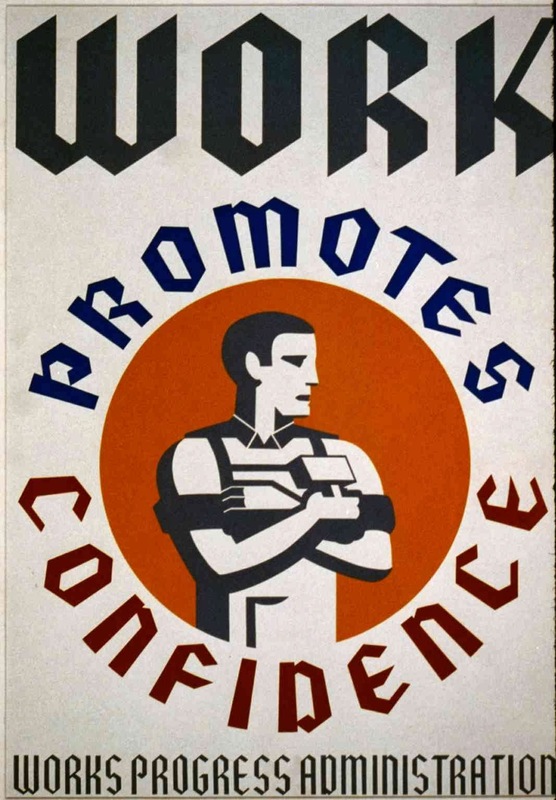 This is the last opportunity to see "Call to Action: How a President Used Art to Sway a Nation," an exhibition of World War I propaganda posters. Also on view is "A Morning at Updike Farmstead: Photographs by the Princeton Photography Club," paintings by the A-TEAM artists of Trenton and two galleries dedicated to the history of the Farmstead and the Princeton Battlefield/Stony Brook Settlement Historic District. At 1:00 pm, there will be a 90-minute guided walking tour of Stony Brook. The tour will trace part of the route followed by George Washington and his troops on their way to engage British soldiers at the neighboring Thomas Clarke farm at Princeton Battlefield. Starting in 2014, the farmstead will be open on the first Saturday each month, 12:00 noon - 4:00 pm. Special activities will be offered each month around a different theme. The subject for January 4, 2014 is "The Battle of Princeton," which took place on January 3, 1777. The Updike Farmstead is located at 354 Quaker Road, Princeton, NJ. For more information, call 609-921-6748 x102 or visit www.princetonhistory.org. 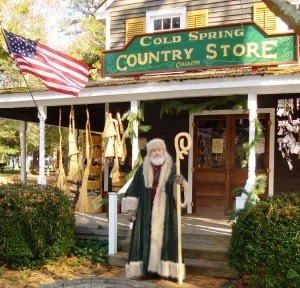 Stop by Historic Cold Spring Village this holiday season for holiday merriment and shopping! The Country Store is open Saturdays and Sundays from 11:00 am - 3:00 pm in December (through December 22). Browse a unique line of heritage goods, hand-crafted artisan wares, jams and jellies, jewelry, hand-knit scarves and hats, books, and much more! On Saturdays in December, visitors can meet Father Christmas in the Country Store from 12:00 noon - 2:00 pm and enjoy a horse-drawn carriage ride throughout the festively decorated Village grounds. And don’t forget - the Village Welcome Center is open Monday through Friday from 10:00 am - 4:30 pm with free admission. Guests can enjoy Cape May County and maritime history exhibits, as well as an interactive virtual tour of HCSV. Liberty Hall is hosting a gingerbread house workshop on Saturday, December 21. Two sessions will be held from 10:00 - 11:30 am or 12:00 noon - 1:30 pm. Children will get into the holiday spirit when they decorate their own gingerbread house with candy canes, gumdrops, and more at this popular, annual Liberty Hall event. A tour of Liberty Hall decorated for holidays will follow the workshop. Program Fee: $20.00 for each child and adult, all additional adults $5.00. Reservations are required. Call 908-527-0400. Liberty Hall is located at 1003 Morris Ave, Union, NJ 07083. For more information, call 908-27-0400 or visit www.kean.edu/libertyhall. The Bergen County Historical Society celebrates their 30th Colonial Christmas Concerts, at the Steuben House. You must make reservations. Tickets are already selling fast, as many people make it part of their holiday celebration every year. There will be two concerts each night: Saturday night at 7:00 and 8:30 pm and Sunday at 6:00 and 7:30 pm. The gift shop, out-kitchen, and Demarest House will be open. Tickets for the concert are $25 per person (BCHS members, $20). Seating limited. 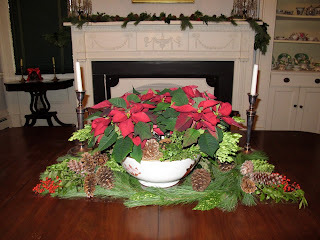 Also this weekend see open-hearth cooking in the Dutch out kitchen, browse the gift shop, and tour the Demarest House. Concerts in the Steuben House are a separate admission. No refunds or exchanges. Parking can be found in parking area at the corner of Main Street and Hackensack Avenue, River Edge. A new ADA compliant stonedust path connects the three houses and parking area! No parking will be available at the Steuben House. Historic New Bridge Landing is located at 1201 Main Street, River Edge, NJ. For more information, visit www.bergencountyhistory.org. Come to Longstreet Farm and enjoy an old-fashioned Victorian Christmas on Saturday and Sunday. Children can visit with Santa, then take a walk to the farmhouse and have a cup of cider. Be sure to bring your camera. The event runs Saturday and Sunday from 12:00 noon - 3:00 pm. Historic Longstreet Farm is located at 44 Longstreet Road in Holmdel. For more information, visit www.monmouthcountyparks.com. 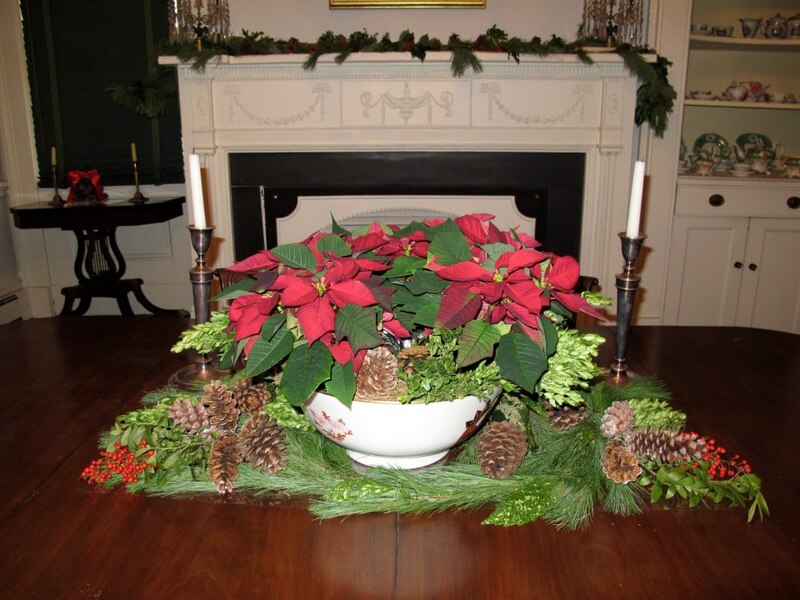 Holiday greenery, ribbons, hydrangeas, magnolia leaves and lots of clever decorating ideas will greet visitors at the 1845 Doric House at 114 Main Street in Flemington, NJ on Sunday. The museum, open at no charge by the Hunterdon County Historical Society. Hours are 1:00 to 4:00 pm. Renowned local interior designer, Kevin Fitzpatrick, joins the Morris County Historical Society in ‘Decking the Halls’ for this year’s Victorian Christmas celebration at Acorn Hall. Mr. Fitzpatrick has worked professionally with Tommy Hilfiger, Polo Ralph Lauren, and has designed for a wide variety of celebrities. Come celebrate the splendor of the holiday season with the Society, and enjoy generous Victorian decorations throughout its period rooms and hallways. 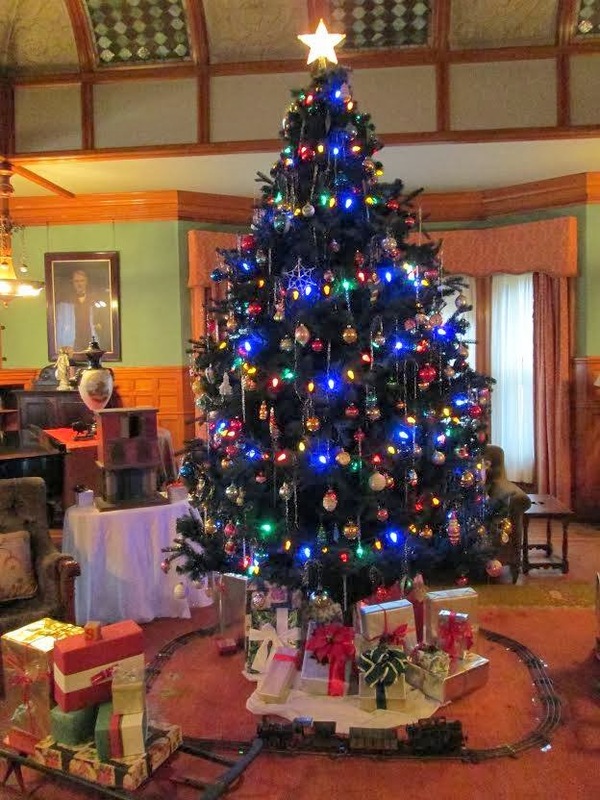 Special features this year include a custom feather tree decorated in authentic mid-19th century ornaments, mantels decorated in lavish period silk fabrics, and, of course, our ornately decorated upside-down Christmas tree. Colorful evergreen garlands highlighted by shining ornaments and numerous themed-decorations on bright Christmas trees and arrangements are certain to place guests in the holiday spirit. The Oakleaf Gallery Gift Shop at Acorn Hall offers many unique and perfect solutions to fulfill all of your holiday gift-giving needs. Vintage clothing and jewelry, one-of-a-kind hand-crafted accessories, refurbished Victorian-era hooks and hardware, distinctive books on Morris County history, and adorable items sure to make any child smile, await visitors stopping by the shop. Acorn Hall was built in 1853 and remodeled in the Italianate Villa-style in 1860. It is open for tours on Sundays, 1:00 - 4:00 pm, Wednesdays and Thursdays, 11:00 am - 4:00 pm, and by appointment. The gift shop is open Monday - Friday, from 10:00 am - 4:00 pm, Sunday 1:00 pm - 4:00 pm, and by appointment. We are scheduling special wine and cheese shopping-nights-out, please make your appointment soon. Tours of the house and exhibit are $6 for adults, $5 for seniors, and $3 for students. Children under 12 and members are free. There is no admission fee for those who are only visiting the gift shop. Acorn Hall is located at 68 Morris Avenue, Morristown, NJ. For more information, call 973-267-3465 or visit www.acornhall.org. Tours at the Montclair Historical Society, 108 Orange Road and the Charles Shultz House-Evergreens, 30 North Mountain Avenue, Montclair, NJ between 1:00 pm and 4:00 pm on Sunday. See the houses bedecked in their holiday finery. These special tours incorporate the holiday traditions as well as the stories of the houses and the people who lived there. 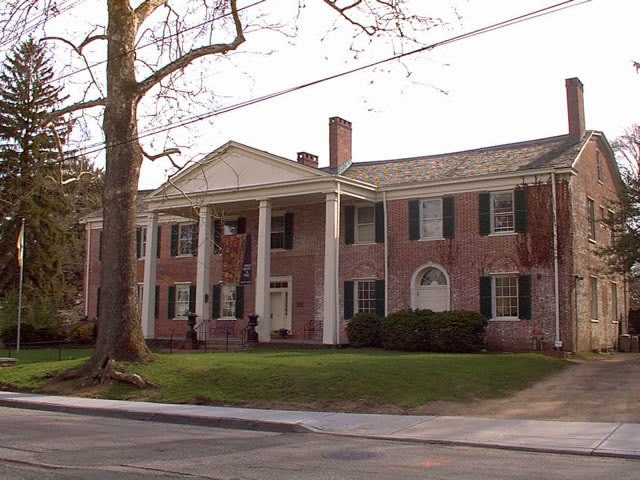 Begin at the Nathaniel Crane house where the less "foppery" reigned; then see the Israel Crane house decorated by the Garden Club of Montclair; then move forward in history to the Charles Shultz House, featuring Molly Shultz's own collection of Christmas decorations and antique toys. Tours are $8 for adults, $5 for children. Members are free. Sunday Spotlight: On Sunday at 3:00 pm, Miriam Mandelbaum, retired Curator of Rare Books and Manuscripts at the NY Academy of Medicine, will be talking about the Shultz House collection of children's books and the stories they tell about the family in a program titled "Every Book Tells a Story (or Two)." The program will be held at The Charles Schultz House, 30 North Mountain Avenue, Montclair, NJ. Suggested donation: $5 per person. 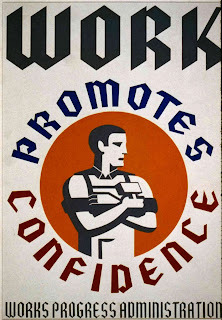 For more information, call 973-744-1796 or visit www.montclairhistorical.org. Naughty or nice, all are welcome when Liberty Hall hosts Breakfast with Santa on Sunday from 9:00 - 11:00 am or 11:30 am - 1:30 pm. A hot breakfast buffet will fill you with Christmas cheer and put you in the holiday spirit. Then take a photo with the jolly old man himself in Santa's sleigh. A tour of Liberty Hall decorated for holidays will follow breakfast. Program Fee: $20.00 per child, $25.00 per adult. Reservations are required. Call 908-527-0400 (Recommended for ages 7 to 12). Liberty Hall is located 1003 Morris Ave, Union, NJ 07083. For more information, call 908-527-0400 or visit www.kean.edu/libertyhall.